If your organization uses any cloud-based software or SaaS, you might have heard the term “APIs.” Many software companies use them and make them available to developers. Recently, developers have been entering C-level discussions, becoming part of the overall business strategy of many companies at the enterprise level. 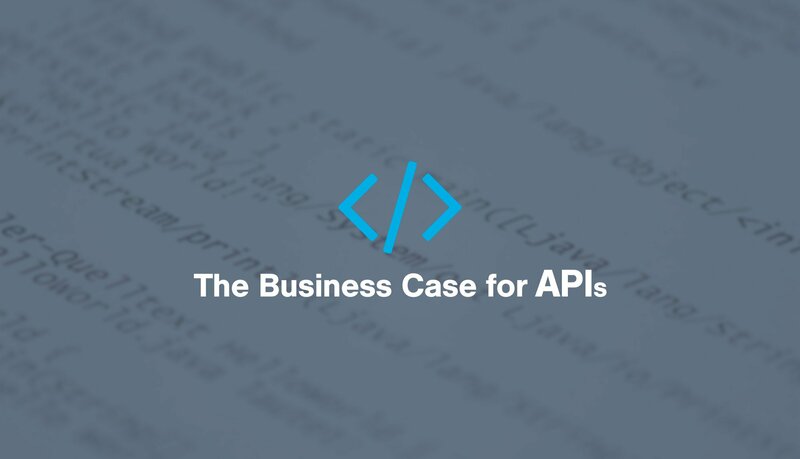 It is crucially important, then, for people outside of IT departments to understand what APIs are and what the business case is for using them (and having access to them). And one of the biggest growth areas for the use of APIs will be in the logistics arena. APIs—short for Application Programming Interfaces—are a messaging format that allow data to be transmitted from one system to another in near real time, allowing for smoother application integrations, faster decision making, and better business insights. This in turn enhances productivity and allows companies to realize more revenues. APIs accomplish this using code that is simplified and structured to define, as clearly as possible, how the application should interact with other applications and networks. APIs are nothing new; they have existed in one form or another for decades, though the rise of social media websites made their use more widespread. This made it common practice to publish APIs in a secure, scalable environment on the internet, which in turn grew the network of developers for many common applications and networks. API management is now seen as a core part of business strategy—though that idea is only now picking up steam. What set the stage for APIs widespread use was the need to break down massive chunks of code into smaller, more manageable units that were easier to test, update, and deploy. (Corba, Ice, and service-oriented architectures are earlier attempts at such smaller chunks.) Though implementations were expensive, these steps were seen as a great improvement over more monolithic, proprietary software development. Things took off with social media and content websites, which had to grow quickly and prove value just as fast. Many sites (including Facebook, Twitter, and Netflix) did this by inviting developers to write apps that interacted with website. To facilitate this, they created and released simple, manageable APIs for free, helping them gain traction quickly via strong developer support. Over time, startups using APIs were able to get to market more quickly than larger organizations stuck in more component-based development techniques. Many enterprises now consider them to be must-have products. Most APIs do not make money directly. But C-suite executives are now asking how they can bring value to their organization. Gone are the days when companies use them because it is fashionable—more and more, IT departments are making a business case for them. Specifically, companies are realizing their potential for connecting suppliers, carriers, cloud providers, and more, especially if any of these make heavy use of SaaS. To understand why this is, it would be useful to compare APIs with Electronic Data Interchange (EDI) solutions. EDI is a standard format for exchanging business data, based upon a set of standards which determine how messages should be formatted when sent to external systems. It became a popular topic in 2014 and 2015 as “Big Data” became a buzzword and supply chain management focused more heavily on analytics, flexible partnerships, and supply chain resilience. With EDI, shippers and 3PLs spend a substantial amount of time on administrative tasks, meaning they spend less time on revenue generating activities. With most APIs a developer can have basic interaction with the service in place in a matter of a few hours; EDI, by contrast, typically requires expensive proprietary software (or outsourced third party solutions) to setup and manage document translations and transfers. Furthermore, EDI has poor access to the big data required to make dynamic business decisions. For these reasons, APIs have slowly been eclipsing EDI—and the pace of change is about to accelerate. So just what can APIs do for logistics? APIs can link shippers and 3PLs directly to carrier online services, allowing them quick and easy access to tracking information, proof-of-delivery, and accurate up-to-date rate information. APIs can also enable shippers and 3PLs to query multiple carriers to determine their most cost-effective routing options in real time. This is far more efficient than going to each site manually. APIs allow for quick and easy mobile integration, which means that application data and reports can easily be ported to mobile devices as needed. APIs can allow for automated billing between carriers, shippers, and 3PL partners. This reduces errors and helps ensure timely payments. APIs are useful when there is legacy technology in play. Networks and web applications built up over many years might not lend themselves easily to 3rd party integration, especially when it comes to mobile apps. APIs allow for an abstraction layer that can mediate different existing networks whether internal and external. APIs allow a new level of customizability. For example, SaaS software might not have the exact interface needed for a given business case...but using the API would allow for a custom solution to be built quickly and easily. In short, APIs are becoming the new EDI for logistics and supply chain management. If you would like more information about using Infoplus’s APIs to better integrate your logistics managements systems, contact us. We can share technical details and help make the business case for your organization.